Keeping the Pounds Off! : Magic Obesity Pill? An article in Huffington Post, by Irene Rubaum-Keller, author of the book Foodaholic: the Seven Stages to Permanent Weight loss, questions the possibility and effectiveness of a future pill that would cure obesity. The article, Imagining An Obesity Cure got me thinking" would I take a pill if it would forever keep obesity away? I lost over 200 pounds by changing my life: what I eat, the way I eat, the way I think about food and my daily food behaviors. I am close to five years into maintaining this loss. Working this recovery from food addiction in all areas of my life has enabled me to put down the food without picking up a new addiction. I do not get inebriated, high, mellow, overspend, gamble or engage in any other compulsive behaviors yet I am currently living the best life I have ever enjoyed and I cherish each beautiful day. I do not think an obesity cure could give me all that I have as a result of working through everything else. Taking a pill would only take me so far - not far enough. If they came out with a Compulsion Eliminating pill that relieved the compulsion to overindulge in everything it might also limit my desire to love, feel compassion, feel joy. No pill is worth that. Whether you are on Day One or Year Thirty of keeping the pounds off your body, what do you think of the validity of a magic obesity pill - and what would make it 'worth it' to you? I think the idea sounds appealing, but I'm too much of a realist. There is something special about losing weight yourself, and keeping it off through hard work - not pills. 80 pounds ago I would have begged for the pill! Now 6 years later, I realize the importance of the journey. I am a new person today. A better person today. A happier person today. I don't think the pill could give me all of that! 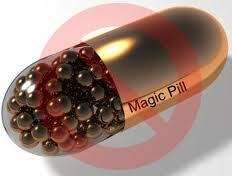 No to a magic pill. I used to want one. Meh, not so much anymore. Plus I like some obsession. BUT that is just me. I understand others wanting it... badly. I understand someone can be hurting so much they would take a pill, submit to surgery, starve themselves, make themselves throw up and resort to public flogging by posting videos of themselves overeating. I want them to understand that they do not have to hurt from the food anymore. They can recover. 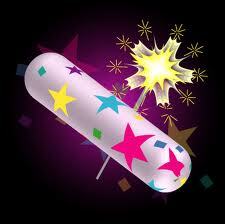 a pill does not correspond to the inner work that needs to be done. that is the issue with surgery and other non-natural interventions in my opinion. I would not have nearly as much of as issue/disagreement with these things if extensive therapy went with them. a system that 'makes' one change does not address the whole person in my opinion. And most of us have addressed the whole person and very much changed our whole selves. I was not a big oprah person. But I did happen to catch a few of her shows over the years. I happened to see the one when she had lost her weight and got hate mail because she had 'changed'. oprah protested loud and clear that she hadn't changed at all. she said she was still very much the same person. that interchange is more interesting to consider NOW than it was then. because I now believe her when she said she hadn't changed. I think she had only dropped the pounds, but had not changed. and she regained. Spot on Vickie - excellent observation. She did not change her behavior, she just changed her goals so her behaviors could stay the same.